Developing mathematical reasoning and problem solving are two of the three aims of the current National Curriculum for mathematics. 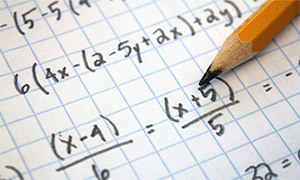 They are also key aspects of the new GCSE, Core Maths and A-level mathematics qualifications. Maths Hubs are therefore working in a range of ways to support schools and colleges to develop and embed effective approaches to teaching in these areas. Some current examples of work are given below. As demand from schools and practice in this area continue to emerge, hubs are working together to make the most effective practice more widely available to schools. Langdon Park Community school in Tower Hamlets are continuing to lead on this project for our Hub this year. Following the successful completion of last year’s National Collaborative Project to support secondary school maths departments develop their practice and culture for addressing the reasoning component of the national curriculum, the project is being offered again this year to a new cohort of schools. The format will be similar with each Maths Hub recruiting about five schools to a workgroup led by a teacher and an HEI colleague. The workgroup combines workshops and gap tasks based around a lesson study approach enabling the wider department to participate. In response to demand from the schools involved in last year’s project they will have the opportunity to continue to work together as a hub workgroup to embed those aspects of the practice that most match their particular department needs. Please contact us to express your interest in this project.